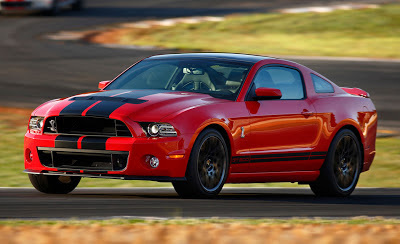 Carnation Auto Blog: 2013 Ford Shelby GT500 - The Fastest, Most Powerful Mustang Ever!! 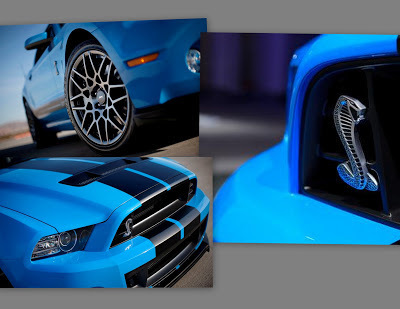 2013 Ford Shelby GT500 - The Fastest, Most Powerful Mustang Ever!! Chevy Camaro ZL1, lo and behold, the Snake is here! It's the 2013 Ford Shelby GT500! The new Mustang is, out and out, a muscle car that has beaten all competitors black and blue and in an almost one-sided competition, shown why it is one of the most sought after muscle cars in America. 2013 Ford Shelby GT500, the most powerful Mustang ever is also the most powerful production V8 car in the world, with 650HP power and 600 pounds of torque. That's insane!! This new, Ford muscle stunner has a 5.8 litre heart, a V8 aluminum block, and a far more efficient supercharger. 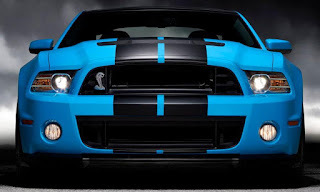 Almost the whole powertrain has been redesigned for the 2013 Shelby GT500 and now include a new cross-drilled block & heads, camshafts, a carbon-fiber driveshaft, new clutch, transmission as well as axle. The Mustang also gets a new cooling system, and a new six-speed manual transmission with a drive ratio of 3.31:1, optimized to handle the huge torque generated by the super cool V8 engine. 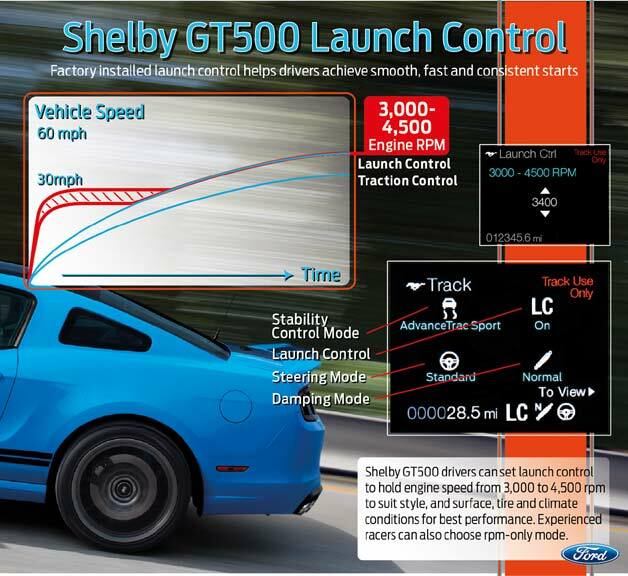 The new Ford Mustang looks pretty much the same as the current Shelby, though Ford has made some small aerodynamic changes like air splitters, and a slightly different rear end. Cabin is comfy, refined, and gets Recaro front buckets. 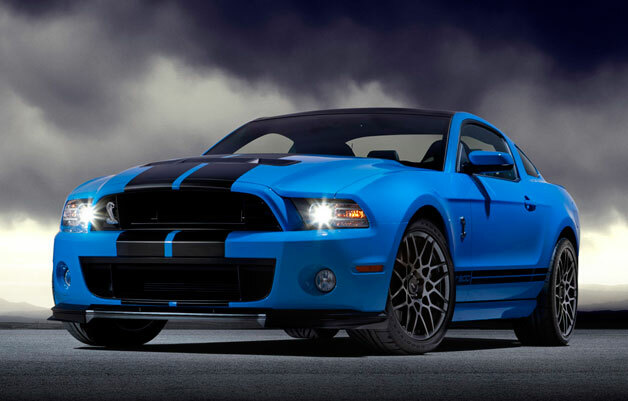 2013 Ford Shelby GT500 will be up for display at the LA Auto Show and if you love Ford Mustangs, and muscle sports cars in general, this one's gonna make you drool. So until you can get up close and personal with the GT500, make do with its images here! !